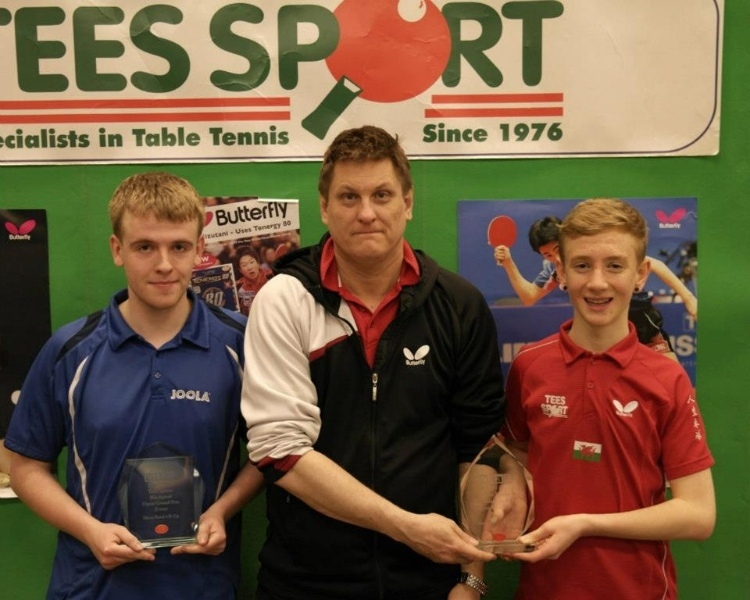 The 2015/16 North Staffs Junior league concluded on the 13th February! In Division 2 Penkhull E leapfrogged their own D team to claim runners up spot to Clayton D. Whilst in Division 1 Penkhull A were runners up to Bradwell A who beat Penkhull on sets (with the same points after 4 sessions) as they beat Penkhull A on the last match of the season for a nail-biting finale to the league. Well done to all teams and players good to see some new faces this year! For the 6th time in only the 15 years the club has existed, we find ourselves again the proud winners of the Bradwell Handicap Cup! 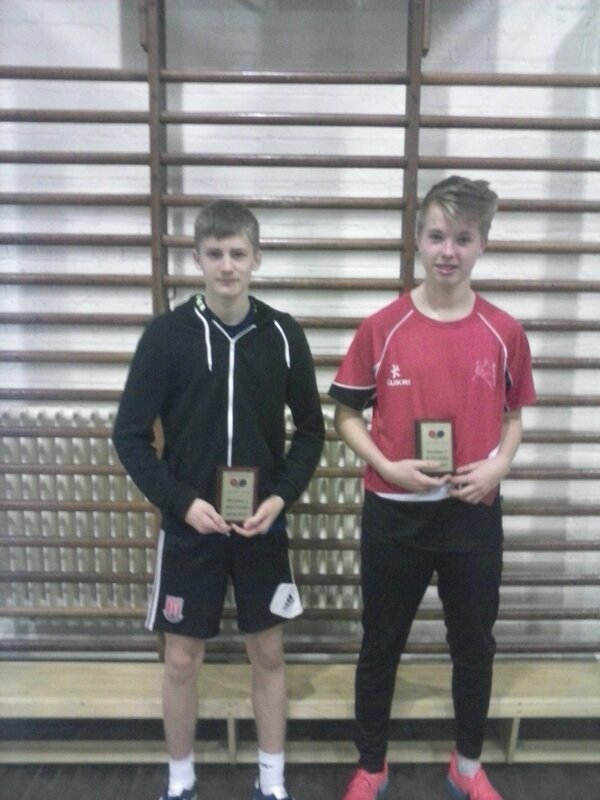 Great night of table tennis saw all 3 Penkhull players (Aleks, Andy and Ash) contribute to a solid win! All 3 players are pictured with the trophies in their club shirts, sponsored by Lift2befit and Eden Brewery and supplied by Supersport Ltd! The Schools league is entering its 13th season! First, I would like to thank the schools that have supported the league and welcome new schools to join this expanding league/sport in schools in our area. 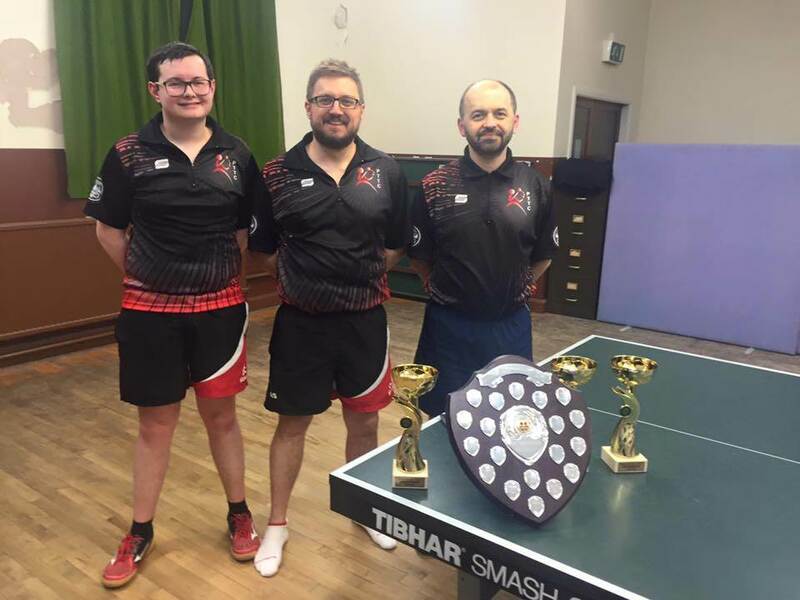 The league continues to be sponsored by Penkhull Table Tennis Club who have provided the team trophies for both A and B team events. The league is very simple you have an A and a B team playing with 4 players per team. 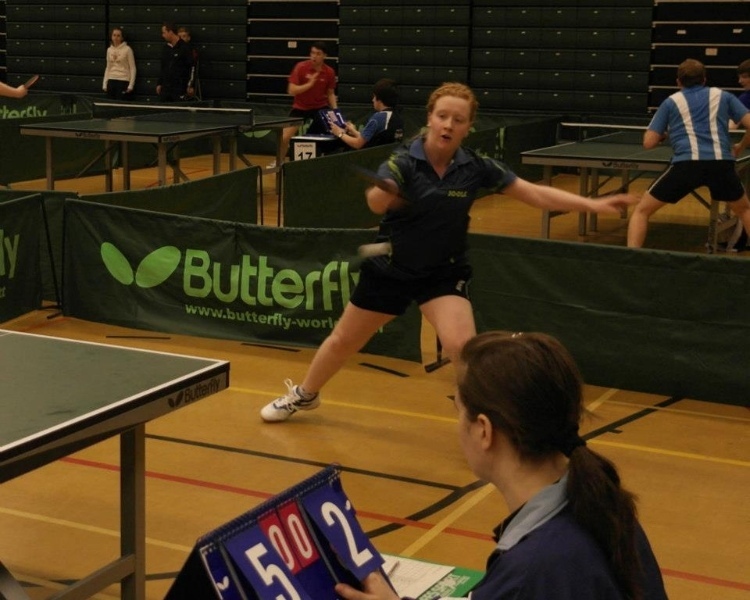 They play both singles and doubles at each fixture with points awarded to schools for winning/drawing/losing matches. The top two teams from the two pools will play in a semi final and final day usually played before the end of March. Fixtures will be set from October to the first two weeks after February Half term. The A teams in the past have been made up of older pupils (Y11) or younger pupils of a higher standard. The B team is then made up of pupils of any age. It is open to both boys and girls to play and represent their school. 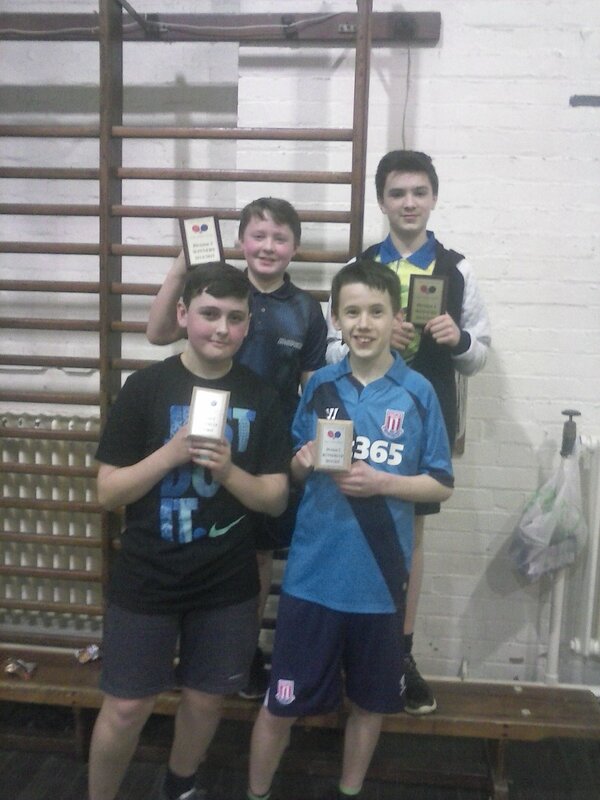 Last years winners of the A team event were Clayton who held off NCHS, Wolstanton and Cheadle to take the title for a record-equaling sixth time, whilst in the B team event Wolstanton picked up their second successive victory beating Clayton B to the title. This year I sense a new A and B team winning the titles making it a wide open event for 2015. The schools below have expressed intent to play in this year’s league. The league will be split into four separate Pools with each team playing and arranging their own fixtures. The top A and B team from each pool will progress to the semi finals and finals night (date TBA). Teams have been grouped as best as possible geographically to enable more fixtures to be completed. Schools are encouraged to arrange where possible a three team evening where three schools play each other and complete two fixtures each. However with more pools and fewer fixtures I would encourage a one match per night and play best of 5 sets to give them more table time per match. Pool A – Clayton, St Thomas More, Blythe Bridge, St Margaret Ward, Birches Head. Pool B – Westwood, Trentham, Cheadle Academy, Endon. Pool C – Sir Thomas Boughey, St John Fisher,Newcastle Academy, St Josephs. Pool D – Wolstanton, Haywood, Madeley,Excel Academy. 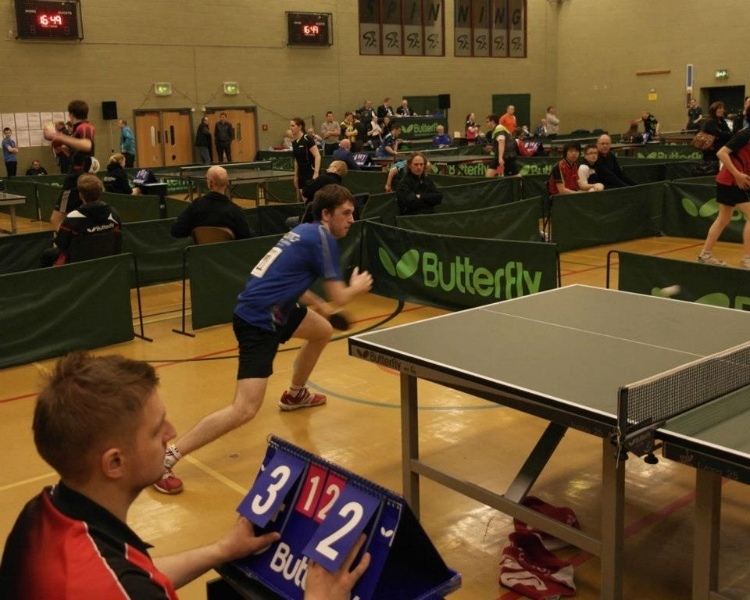 Tables to follow once results come in…..
PTTC are proud to host and run the yearly event once again with four fixtures to be held at Clayton Hall Academy from 10am to 1pm on the second Saturday of each month. Other teams will be selected in the next few junior training sessions. Here are the dates for this year’s Penkhull’s Club Championships! Unfortunately, there are some clashes with league matches. We have tried to minimise this but some are unavoidable. Penkhull TTC are very pleased to announce one of our new club sponsors as Eden Brewery! Their logo will be on the sleeves of our new shirt! And we highly recommend you visit their site (www.edenbrewery.com) and treat yourself to a few great beers! 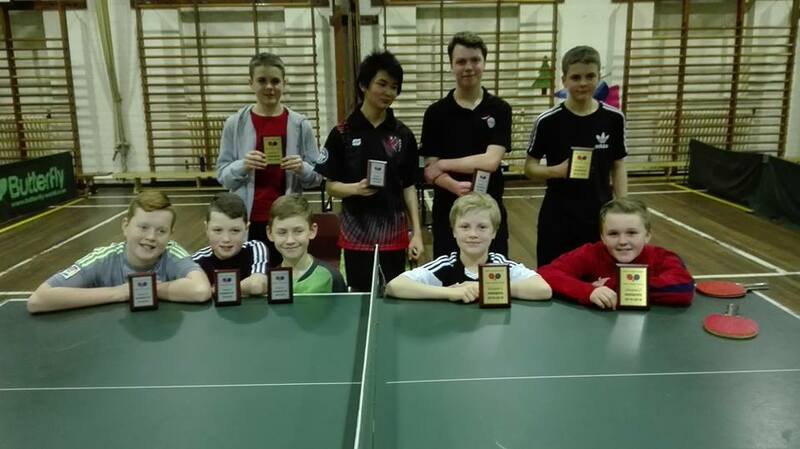 The 2014-15 North Staffs Schools League was a huge success in its 12th year with 17 schools taking part. Some tight group matches led to a great standard on the semi finals/finals night held at Penkhull TTC’s training venue at Clayton. A and B teams from Clayton, Wolstanton, Westwood, NCHS and Cheadle battled it out. The B team final was won by Wolstanton for the 2nd year running who beat Clayton B in the final. In the A team event a three way round robin was held with Cheadle A finishing 3rd NCHS came runners up and Clayton A won for the 6th successive year. Next year’s league should be wide open and there could well be some new names on the trophies of the A and B team events as players move up from A to B team and older players leave schools. The end-of-season Stone League Championships will be held on Wednesday 22nd April at Clayton Hall Business and Language College (ST5 3DN) in the school gym (same venue as last year). The event will run from 7pm to 10pm. We will need to start as near to 7pm as possible so if players can arrive before that will help massively. All entries to Rob Rhodes via this email address – robertlrhodes@hotmail.co.uk, and we need entries before Monday 20th April at the latest. We look forward to having another bumper entry from the Stone League! We had a great finish to the North Staffs Junior TT League 2014/15 season today at Clayton Hall Business and Language College! In Division 1, Penkhull A delivered a faultless season with 12/12 wins thanks to the efforts of Kingsley Barber and Will Pugh. Bradwell A, who have been run out of it for the past two seasons, secured the runner up spot by 2 points from Penkhull C (Callum and Connor Smith) who themselves finished 3rd above Penkhull B (Torin/Andy). In Division 2 Bobby and Joe for Penkhull D emulated the A team and went unbeaten (14/14) for the season to take the title. Elsewhere in the division drama was high as the fight for the final positions went to the last match, last game and indeed the last points! Penkhull E secured runners up spot at the expense of Clayton C who were 10-7 up in the final match of the doubles only to go on and lose 12-10 to the younger Penkhull E duo of Kian and Morgan. An average of around 28 players per session saw 15 teams from 3 different clubs battle it out over 4 sessions. Next season should be even more exciting as teams/players leave the Division 1 age group and new talent comes up through the league. Thanks to all parents, clubs and coaches for your support for this grass roots league and we look forward to seeing you all again next season! Be sure not to miss the entry folks for those interested for the Staffordshire Open Racektlon Champs, entry live on Tuesday 16th April 5pm, all Rackelton events this year have been deemed full within 48hrs so get your entry in quick, expecting to see Penkhull's R.Rhodes and possibly N.Slater and S.Slater taking to the courts. 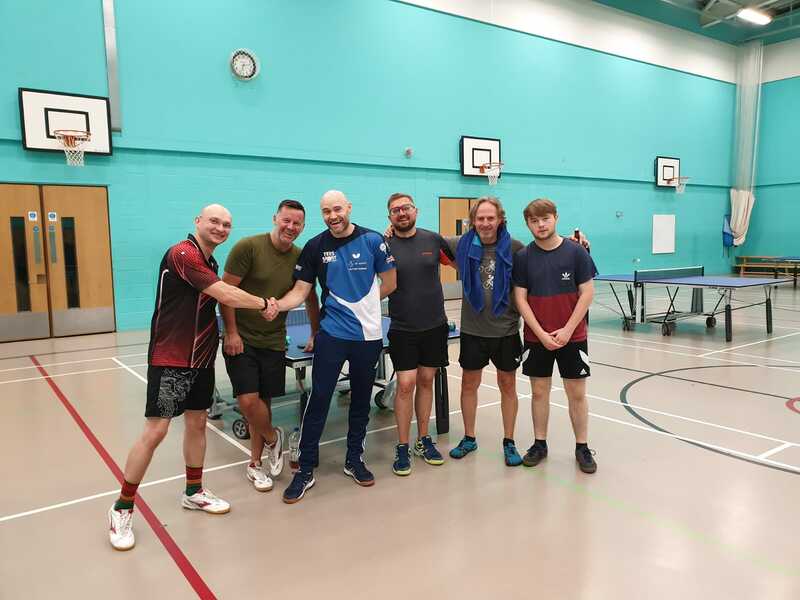 © 2019 Penkhull Table Tennis Club.